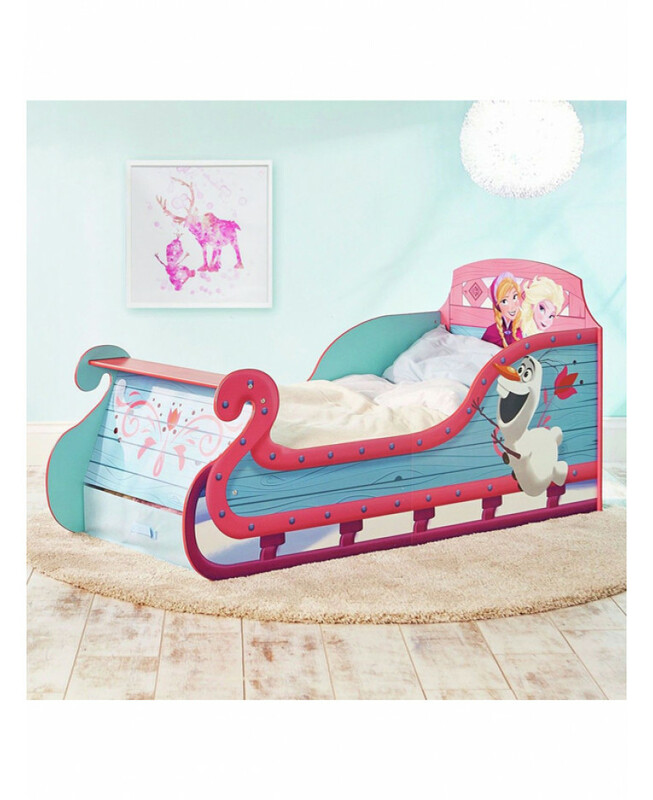 This magical Disney Frozen Sleigh Toddler bed lets you transform your little one's bedroom into the Kingdom of Arendelle! 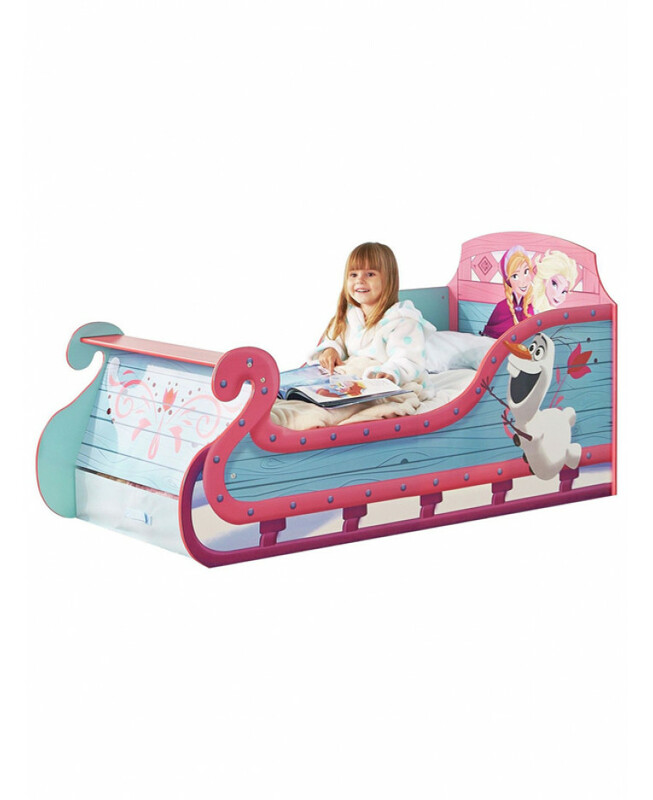 Each night your child can climb onboard this junior bed ready for a restful nights sleep surrounded by Anna, Elsa and Olaf and protected by the side panels which act as the side of the sleigh. 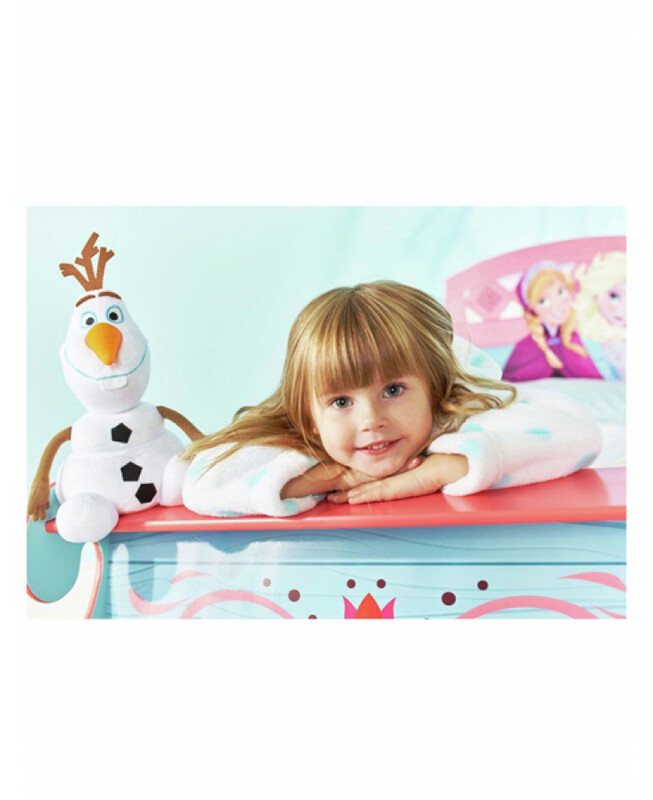 The Disney Frozen bed also features a handy under bed storage drawer which is ideal for storing toys and clothes and a shelf to proudly display all your little one's most prized possessions. The low height of the sleigh bed ensures that little legs can hop in and out easily whilst the solid and strong bed frame, which has been tested to the most stringent safety standards, offers a sleep solution that is built to last. 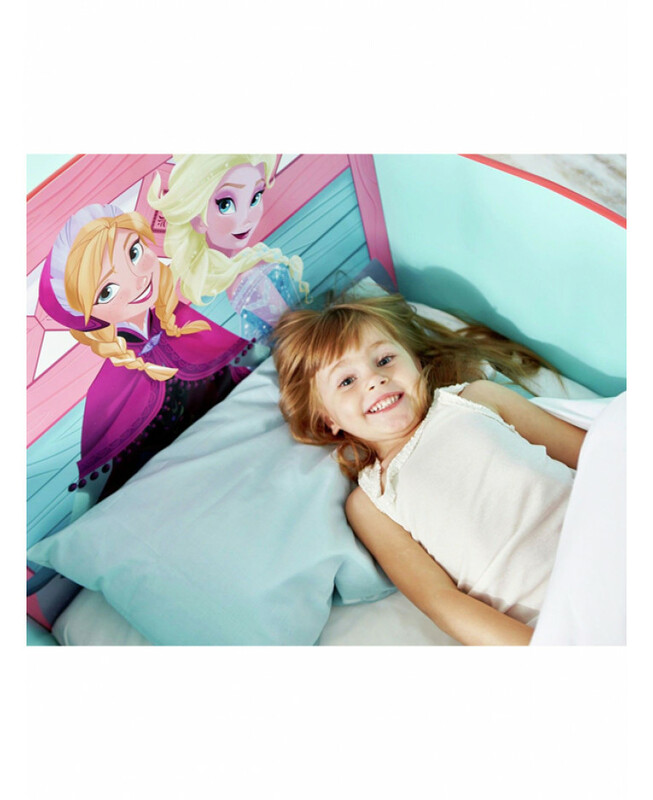 Toddler beds suit boys and girls from 18 months to 4 years old, making them the ideal way to transition from cot to big bed. 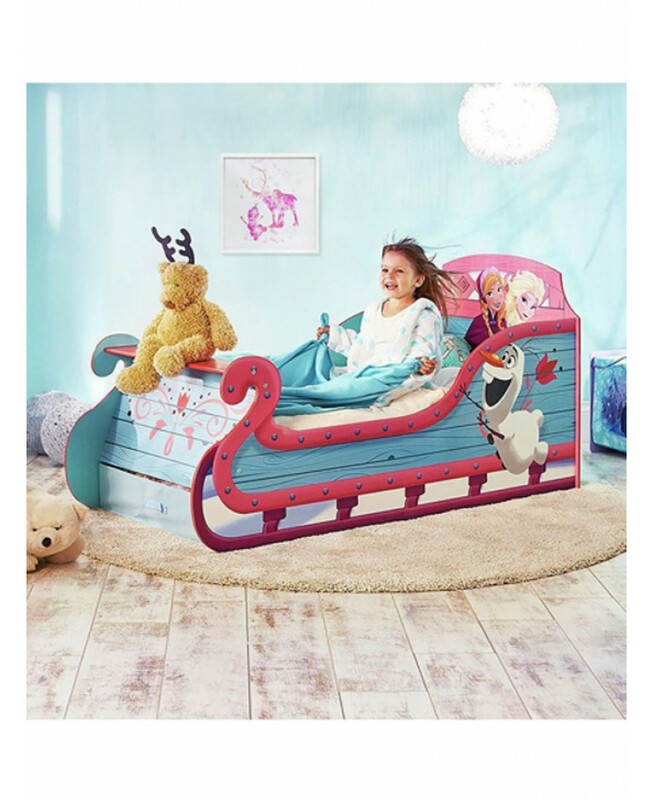 This Frozen Sleigh Bed is available as a bed frame only or with a foam, deluxe foam or fully sprung toddler bed mattress for breathability and a healthy night’s sleep.